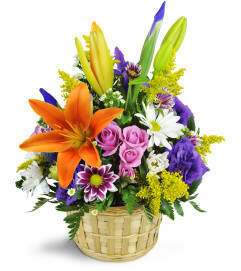 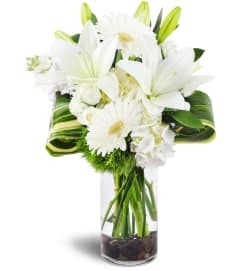 For remembering the person who was a ray of sunshine in life, this uplifting funerary gift comforts the bereaved with gorgeous snapdragons, yellow and purple daisies and sweet pink carnations. Special accents like striking fern fronds, a lovely pink bow, and latticed decorative arch make this a memorable gift that is sure to be appreciated. 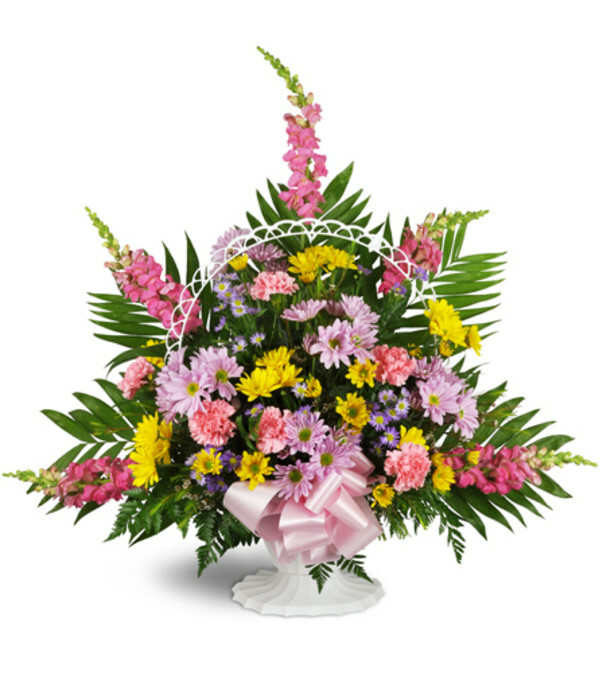 Lovely pink snapdragons are off-set by green fern fronds, yellow and purple daisies, and pink carnations in a white basket with fluting detail and a decorative white lattice arch plus a pink ribbon bow.